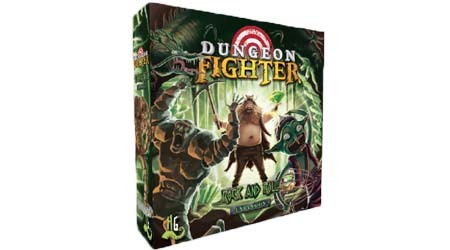 In case you didn't notice already: we're really proud to announce a brand new expansion for Dungeon Fighter, the fourth (and last!) in our element-themed series: Rock and Roll! In this final chapter you'll bring your dim-witted party of unlikely heroes to the depths of the Horrific Mines of Hefty Wealth, but beware: in spite of the cutesy name, it won't be easy. Profitable, maybe, but easy? No. Not at all.